FRI Leadership - Facilities Resource, Inc.
Margaret Teinert is an Interior Designer registered in the State of Texas with over 33 years of experience in interior planning and design in a broad range of project types including commercial, healthcare, and large facilities. Her earliest work included interior design and installation coordination for medical facilities for Healthcare Design Associates in Austin. She also worked for Leslie Fossler Interiors where she concentrated primarily on commercial interiors projects, dental offices, and radio stations. 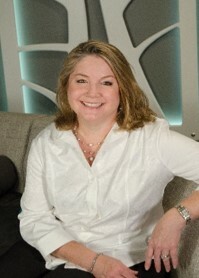 Her work then took her to Motorola where she was contracted under L. M. Swayze Engineers to provide interior design and space planning expertise for custom office spaces and clean rooms. Margaret founded Facilities Resource, Inc. in July of 1997 focusing primarily on ongoing facilities management support services, interior design, space management, contract furniture dealership services, move management and project management.